If you love Tatty Devine (and why else would you be reading our blog?) we hope you'll show it by voting for us in the Telegraph Magazine Shop Awards. 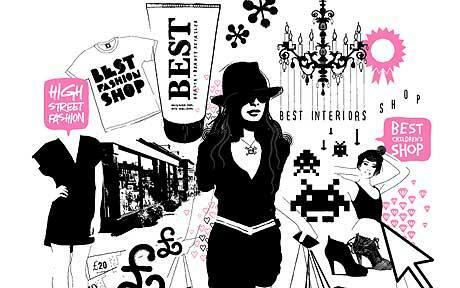 The awards are devoted entirely to independent shops like our two London boutiques, and Mary 'Queen of Shops' Portas is behind it all (we love her). You can even win prizes by voting. Please spread the word and vote for us and all your other favourite independents! Please pick us as Best For Women's Fashion. Thank you!